This document was part of the Multicultural Philanthropy Project, funded by the W.K. Kellogg Foundation. A series of fourteen guides examine the ways in which various gender, ethnic, cultural, religious and racial groups use their gifts of time, money, and talent. They reflect the ways giving and voluntarism are embedded in American life and challenge the notion that philanthropy is the exclusive province of elites. The guides include discussion topics, research questions, and literature overviews with annotated bibliographies. They were developed both to integrate the study of philanthropy into the curricula at colleges and universities, and to provide a tool to nonprofit professionals in the area of development and fundraising. Each volume provides background information on a selected community that will help practitioners work effectively with these groups. The volume aims to deepen understanding of the character, historical evolution, and significance of Catholic philanthropy in American life. It explores ways in which religion, class, and ethnic values shaped the philanthropic initiatives and benevolent organizations of a rapidly growing church from 1800 to contemporary times. The altruistic visions, associations and labor services of ordinary parishioners, often characterized as outside the mainstream of American philanthropy, are integral to the exploration. Students of the church, those working with Catholic organizations, as well as those working with largely Catholic populations, will find the volume of use as it delineates the aspirations, motivations and religious tenets of Catholic philanthropy. 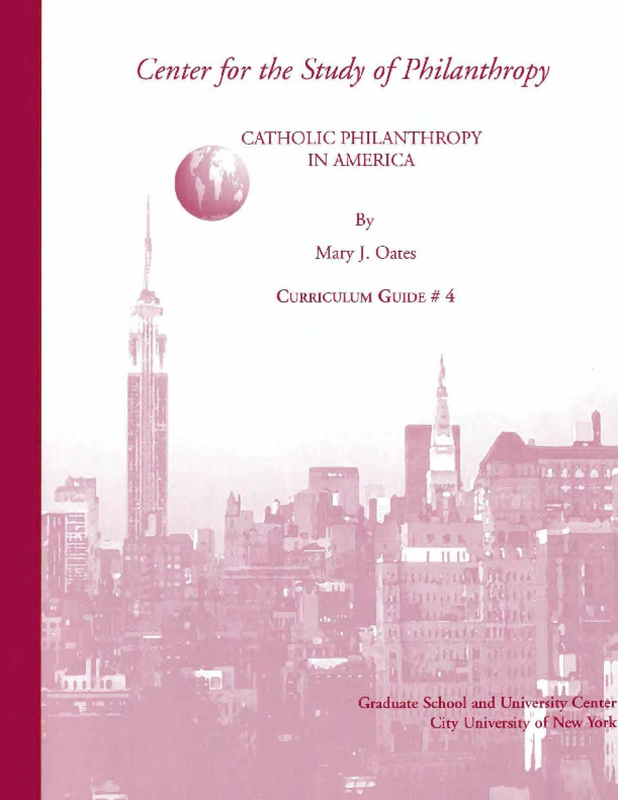 By exposing the reader to the long history of Catholic philanthropy and exploring the reasons for the contemporary decline, the volume can aid those who are working with Catholic populations to increase their level of volunteerism and giving.